A diva’s work is never done. That’s what I thought the other day when I realized that I’ve been blogging (and tweeting and posting!) about classic films for a whole year. I scoured the reaches of my imagination for some way to mark the occasion. 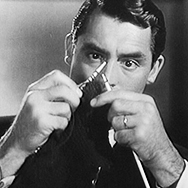 And then, Turner Classic Movies solved the problem for me. 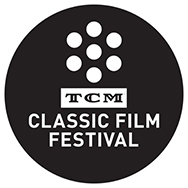 Throughout this month, September 2013, the television epicenter of old movie love will be celebrating the milestones of film history. And I’m going with the flow. 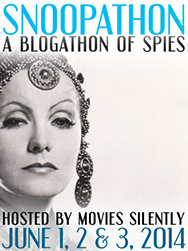 Now, if I started blogging for one reason (other than preserving my sanity in the wake of my recent college graduation), it was because I wanted to share my passion for classic cinema with others. Over the past year, I have learned so much through my digital adventures and I very humbly hope that I’ve been able to give back a little, too. 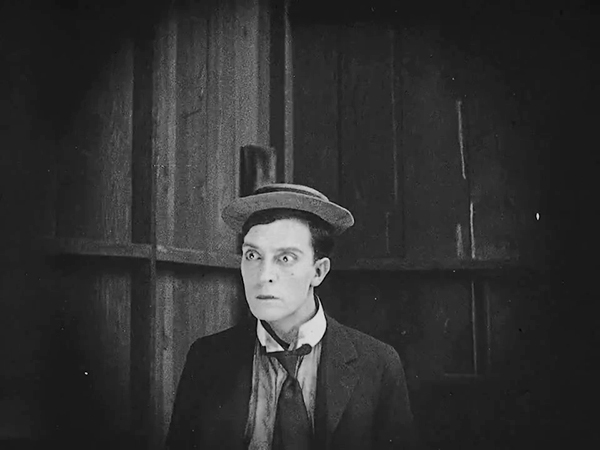 For the month of September, I’m trying something new—I’m going to concentrate primarily (perhaps entirely) on silent film. 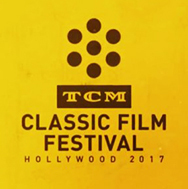 To get the ball rolling, I’ve created a YouTube playlist containing most of the silent films that will be airing on TCM this month. Below, you’ll find the same treasure trove of film history, hours of ground-breaking cinema that you can stream or download free of charge. 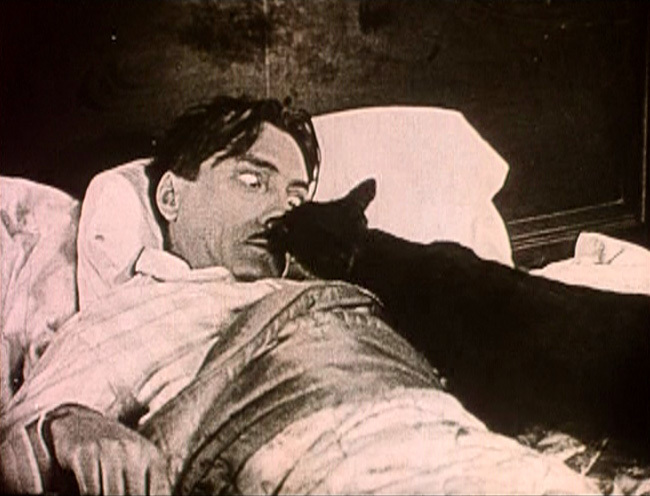 I could name dozens of other great silent films that everyone should watch—and I will over the next 30 days—but these are the ones that you can check out instantly. So, pardon the glaring omissions! 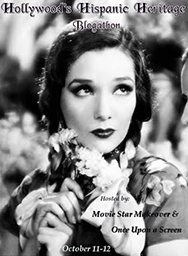 However, if you’ve never seen a silent film before, this is a good place to start, although you might not want to start with Intolerance… And if you’ve seen all of these films, well, now you have them all at your fingertips! 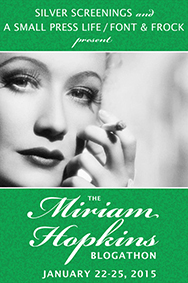 Watch, enjoy, and celebrate the Seventh Art in the first spectacular flush of her youth and beauty. 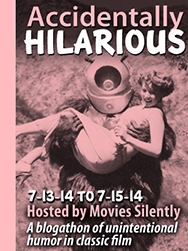 On YouTube or download the film for free at the Internet Archive. Part I and Part II on YouTube. Admittedly, not all of these films are pure trick films, that is, they don’t exist purely to show off visual pyrotechnics. 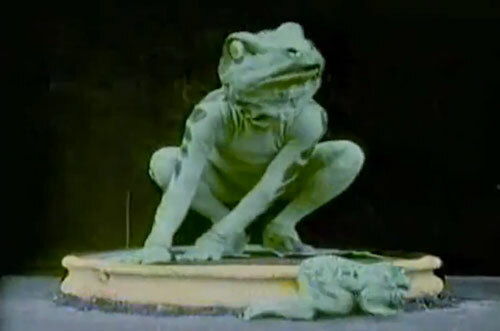 But enjoy watching the evolution of early special effects in the selections below. A wall being knocked down by a bunch of laborers doesn’t sound like much of a premise for special effects. Like many of the Lumières’ films, the strong documentary quotient of what we’re seeing (real workers, a real neighborhood) would suggest that we’re just supposed to kick back and appreciate what life, once removed, looks like. And yet, only after the film was printed, magic happened. 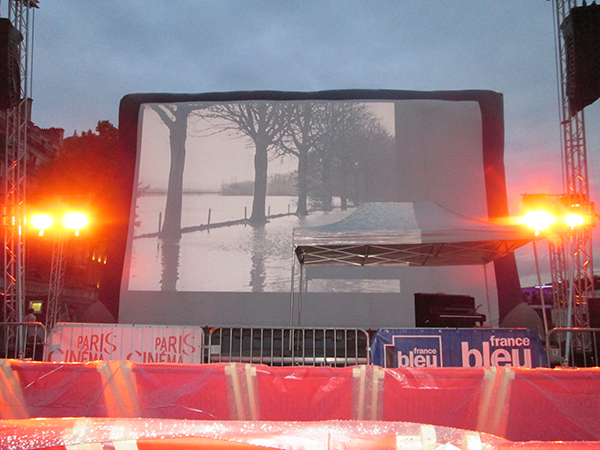 During exhibitions, the quaint actualité was played once through, then shown backwards, with the strip fed in reverse through the projector. Miraculously, the wall jolted back to its original position as particles of dirt and dust were sucked back into place. This groundbreaking idea turned an everyday sight into a spectacle of the fantastic. Although there’s technically no camera or editing trick, the cinema itself becomes a trick for its ability to manipulate time and weave fragments of truth into an impossible fake reality. Indeed, the surrealists would later tap the power of reversed footage (most spectacularly in Cocteau’s Orphée). But the trick was never more startling than it is here. Call me morbid, but trick films often seem to focus on death. Cinema, of course, is a close cousin of death. In her spooky realm, the long departed can still amuse and delight us. 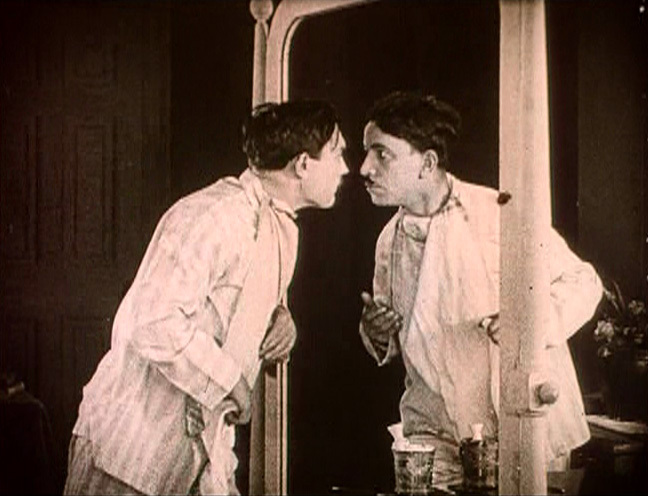 The X-Rays, a whimsical entry in the trick film canon, displays a sardonic, typically British gallows humor. After all, it was Webster who, according to T.S. Eliot always saw “the skull beneath the skill.” Well, this short follows in the same vein. 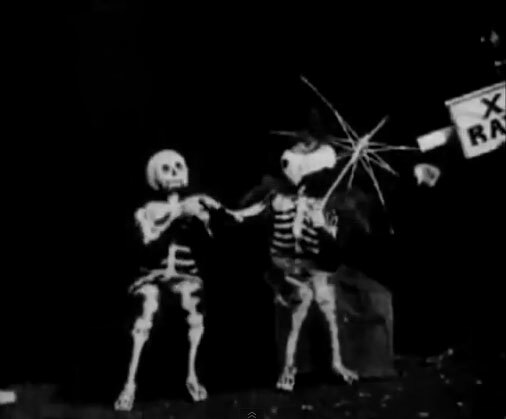 When shot through with “X-rays,” a wooing couple suddenly appear as two skeletons. Really, it’s just a well-timed cut, a change of lighting, and black body suits decorated with white bones that provide the illusion. Once reduced to posturing wraiths, the cute couple acquire a new level of comic irony. It’s hard to believe in love and romance when you can see that, under it all, we’re nothing more than bags of bones. Under the surface of this charming trick film, you’ll find a genuinely chilling memento mori. 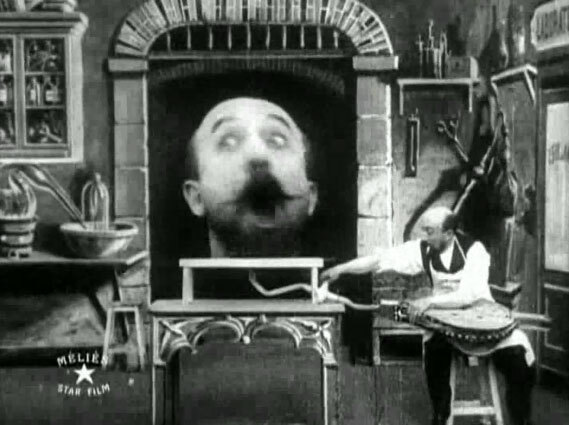 In this pair of similar shorts, Georges Méliès gets a head. Several, in fact. Because he was the master of the trick film, I have to include two shorts from this infectiously enthusiastic trailblazer. 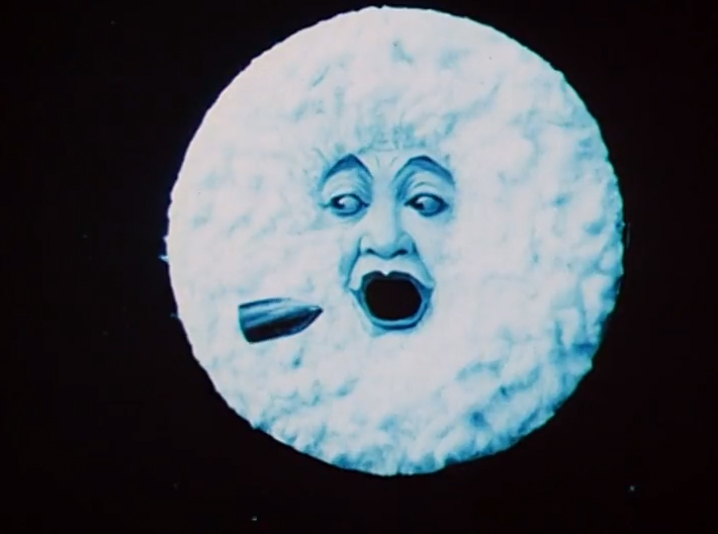 Not only was Méliès a true visionary who understood the importance of shaping cinema into entertainment medium, but he was also one hell of an energetic guy! I find that watching him star in his own short films provides a fool-proof pick-me-up. He’s like Prozac with a Belle Époque beard. 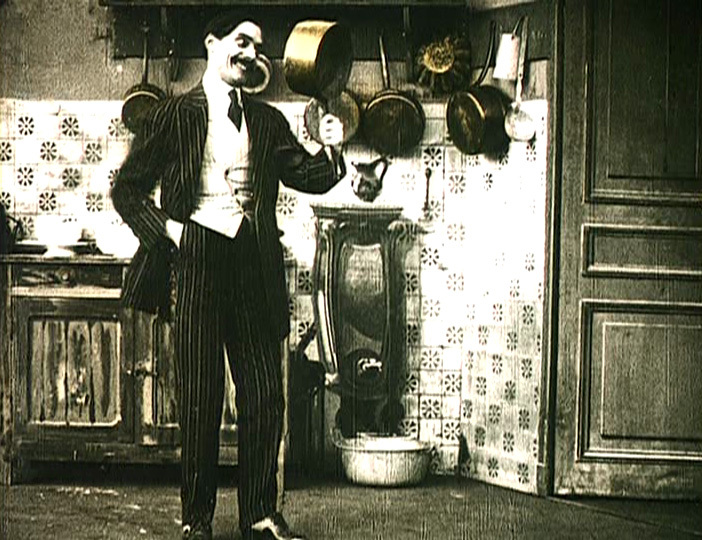 Unlike some early cinema performances, which show that the actors did not yet grasp that you need to move in the movies, Méliès’s appearances remain as exuberant and joyful as they were a century ago. 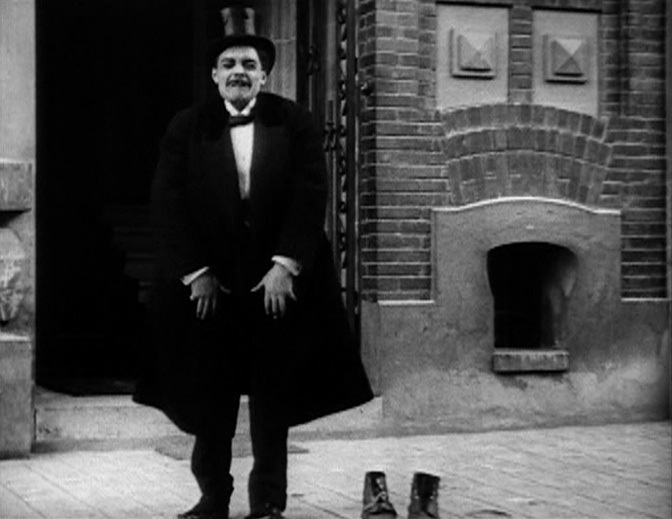 Rather than “acting” all of the time, Méliès miraculously manages to cultivate a similar presentational relationship to what you get between a magician and his audience. In one of my favorite Méliès films, we can savor the spectacle of not one Méliès… but up to five of him at any given time. Bask in his energy. 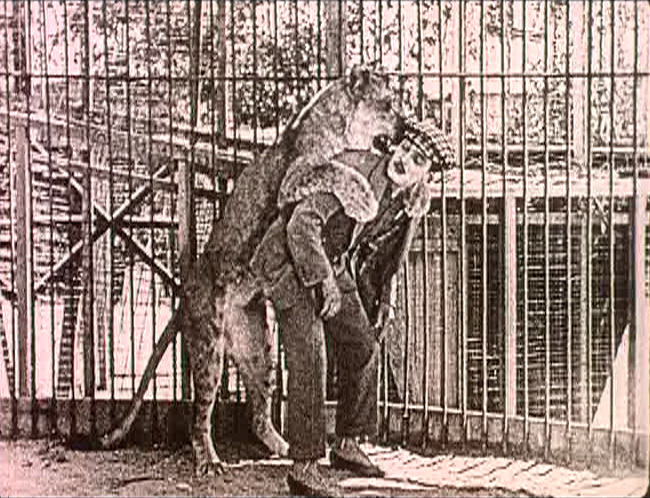 This daft little film shows a distinctly ticked-off camera subject proceed to eat the cameraman! Clearly, this doesn’t make a huge amount of sense, but it sure is unexpected. Moral of the story? Ask permission before you start turning, or you’ll end up in some stranger’s stomach. 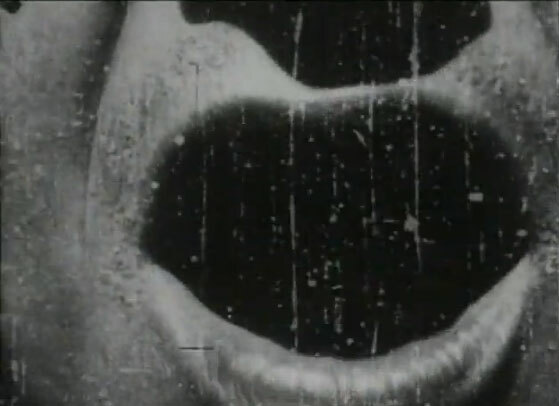 This entry also contains the first extreme close-up in cinema history. Well, here’s some good, ol’ fashioned nightmare fuel for you! Because who hasn’t seen at least one horror movie about an antique shop where the objects come to life? From hidden cuts to superimposition, this atmospheric film uses practically the whole bag of then-available tricks to portray a possessed store. The proprietor of the curiosity shop even seems to cultivate these playful, if creepy gnomes, ghosts, and apparitions to pop up and vanish at will. Hapless, roly-poly Uncle Josh holds the distinction of being the first recurring character in film history, providing fodder for a series of three surviving kooky adventures. 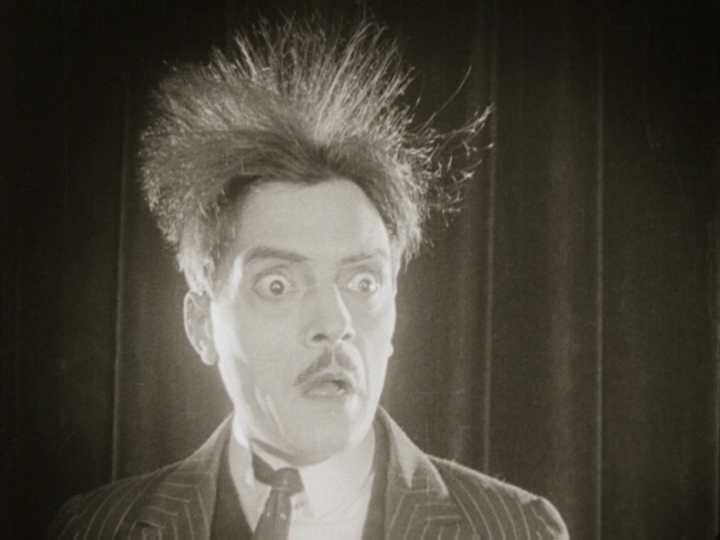 In the most innovative Uncle Josh film, the hammy fellow goes to a program of movies (and, surprise, surprise, Edison movies!). Attempting to join an alluring Parisian dancer, Josh lurches onto the stage in front of the movie screen and starts to jig. 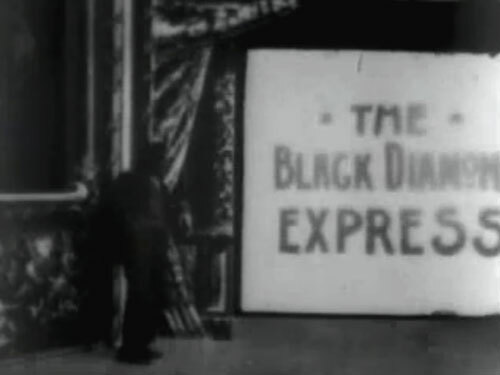 The film soon changes to The Black Diamond Express. When Uncle Josh tries to get a closer look at the oncoming train, he leans into the movie frame, entering the world of the film—or so he assumes. In a clever spoof of the hysterical reactions of early cinema audiences (who supposedly expected onscreen trains to come off the screen and hit them), Uncle Josh genuinely thinks he’s about to be run over by the locomotive as it appears to hurtle towards him! Again trying to interfere in onscreen events, Uncle Josh finally tears down the screen and starts a brawl with the projectionist. This silly film is not actually a trick film. Sorry. (The first installment of the series, Uncle Josh’s Nightmare, is though.) It’s more about how cinema can trick us. But it foreshadows Sherlock Jr.—not to mention the many, many other movies to follow that featured people sliding into a filmic parallel universe. The “meta” elements of this film—especially the references to other Edison actualities—make this film one of the most modern and complex of the trick films I’m presenting, even if the double-exposure techniques don’t stun us as much as they perhaps could. The true paradox of this film lies in the fact that Uncle Josh both psychologically “enters” the diegesis of the films he’s watching and reveals the illusion inherent in cinema when he tears down the screen. His reactions parallel those of the audience—who, while somewhat absorbed in the movie tricks they were watching, still wanted to know how the filmmaker did it. 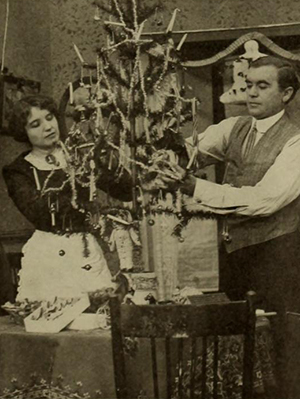 While this emphasis on exhibition and flamboyance over story shouldn’t be held against the subset of early cinema (which wasn’t yet conceived of in terms of narrative cinema), I rejoice to find a trick film with a heart, directed by the sublime Alice Guy. 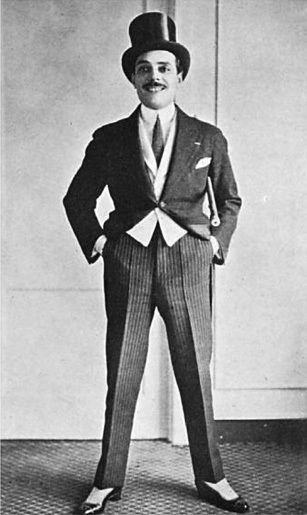 In this cozy, if cautionary fable, a magician encounters a beggar and, moved to compassion, he conjures a luxurious feast and a swank set of clothes for the vagrant. When the homeless man walks away feeling cocky and refuses to help another beggar, the unfeeling lout transforms back into his old self. The second beggar was just the magician in disguise—oh, snap! The message about sparing kindness for people in situations that you once suffered through elevates this convivial film among the rest. 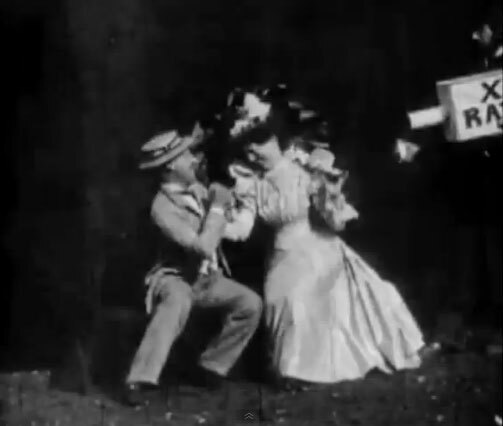 Alice Guy integrated the syntax of the trick film into a more narrative format with breathtaking ease and glorious humanity. However, I choose to feature this film primarily because it brings us full circle back to the first film, Démolition d’un mur. The trick, accomplished through reverse projection, goes nuts with a technique not even a decade old at the time. And it’s boring! Because it’s all special effects and no plot… like a lot of movies made nowadays. Thanks to all the marvelous people who upload these films on YouTube. 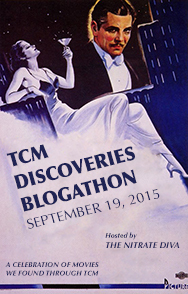 I also gratefully acknowledge Tom Gunning’s “The Cinema of Attraction”, which, in part, inspired this post. Yeah, I know, that’s a pretty brazen assertion—as if I can 100% conclusively say “motion pictures started here,” because in some form they existed for centuries! As the great critic André Bazin noted, humans have dreamed of perfectly capturing and preserving the appearance of life since time immemorial. Cinema existed in the mind long before it could be realized. Thaumatropes, zoetropes, and other optical entertainments foreshadowed the birth of movies. Some would argue that the live action motion-capture photographs that naturalists like Muybridge and Marey created really mark the inception of film. 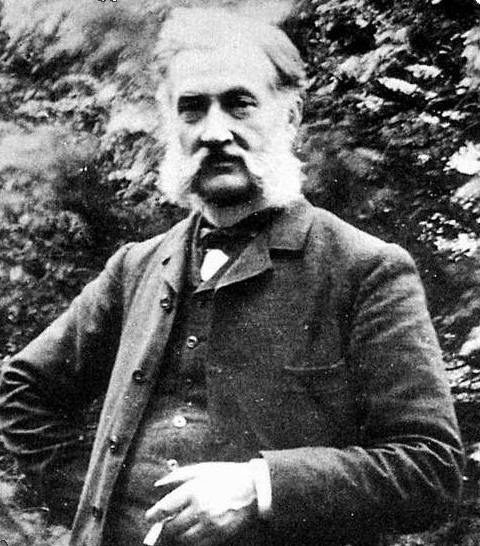 However, if I have to put my money down on one person as the inventor of film, it’s going to be Louis-Aimé Augustin LePrince. 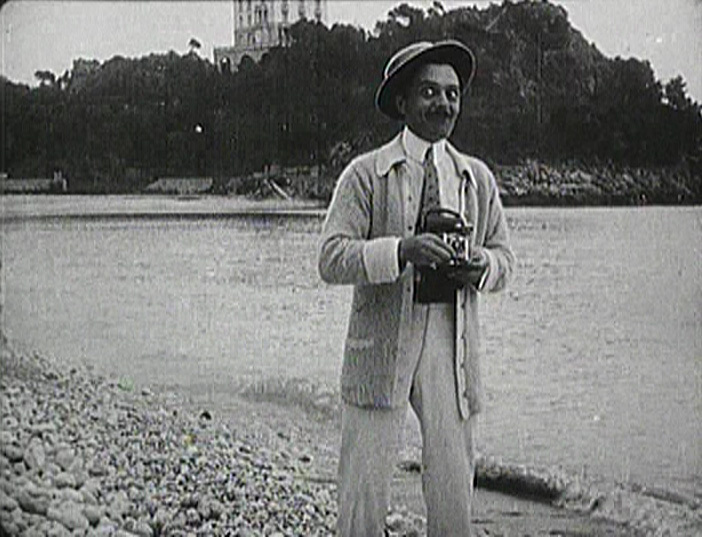 This French-born innovator struggled for years to sell his motion picture camera only to vanish without a trace on the cusp of becoming internationally famous. 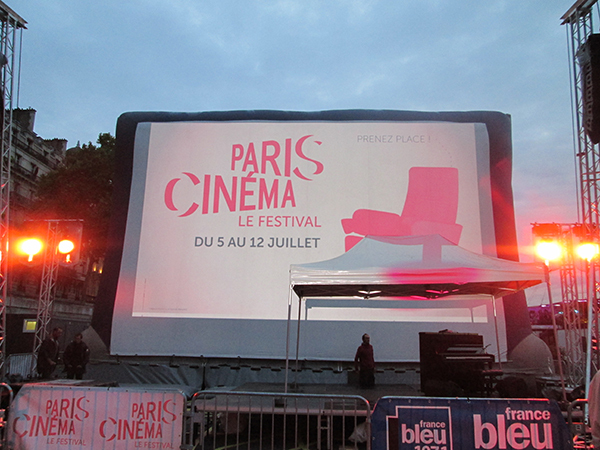 According to Donald Cook’s History of Narrative Cinema, LePrince projected motion pictures as a demonstration for functionnaires of the French government at the Paris Opera in 1890—five years before the Lumière brothers would exhibit their camera-projector, the Cinematographe. His uncanny disappearance has sparked your typical range of crackpot theories; some have speculated that ruthless entrepreneur Thomas Edison, whom we remember as a great inventor, a perpetuator of animal cruelty, an occasional idea thief, and an all-round nice guy, had LePrince killed. I wouldn’t be surprised in the least. 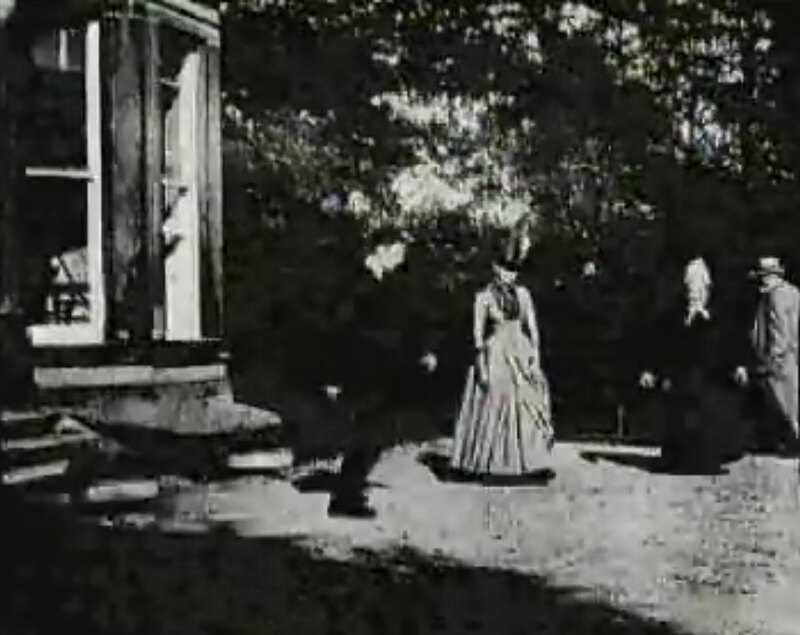 What has come to be known as “The Roundhay Garden Scene” represents the first successful attempt to make motion pictures, not just to record motion through a series of still images. The fact that an ordinary middle class British family serve as the subject of the first ever film also imbues the fragment with a sense of warmth and nostalgia, hinting at the human dimension latent in the technological advance. Unlike the scientific gaze of many early photographic motion studies, the quaint backyard location and lawn game ambiance of the few seconds of film opens a window in time. 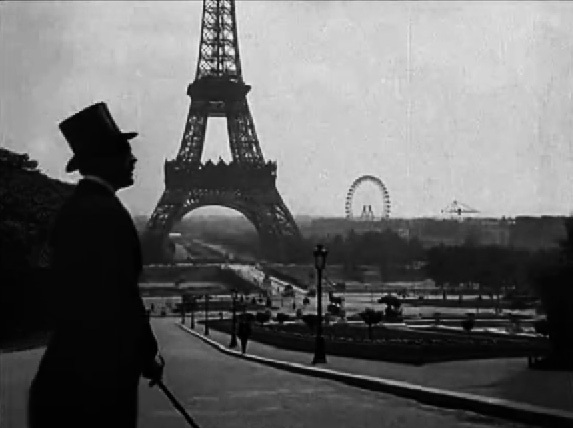 Travel back to 1888 and witness the grainy power of LePrince’s vision. Film historians tend to consider Lumière Brothers the founders of the medium even though Edison’s studio was producing films before them. Why? 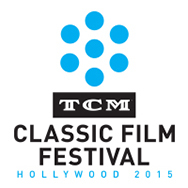 Because Edison’s ideas about film and how it could be marketed and distributed were comparatively limited. His camera couldn’t easily be transported, so Edison’s films were made indoors in a studio called the Black Maria. 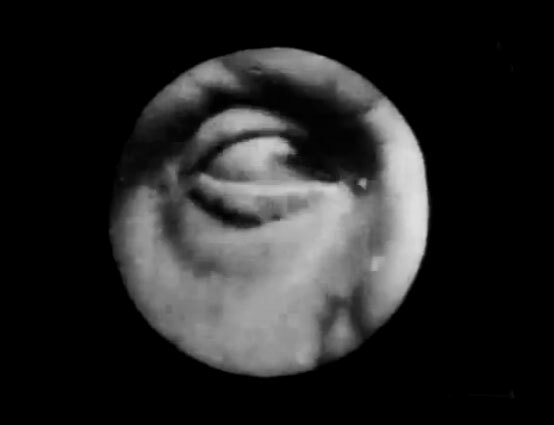 His Kinetoscope exhibition method relied on a peep-hole scenario where the viewer had to put his eye up against a tiny screen and watch the movie. 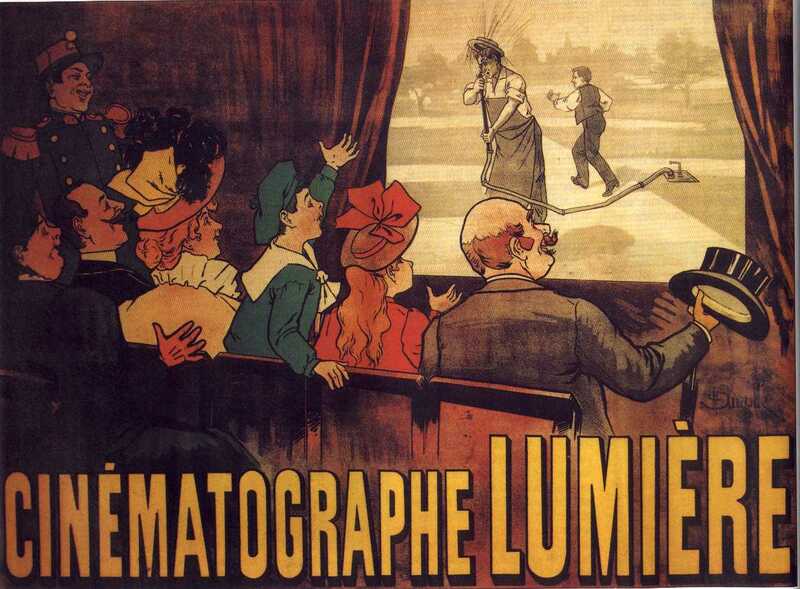 By contrast, the Lumières’ highly portable camera-projector enabled them to capture footage outdoors and to share the images with many people at once. 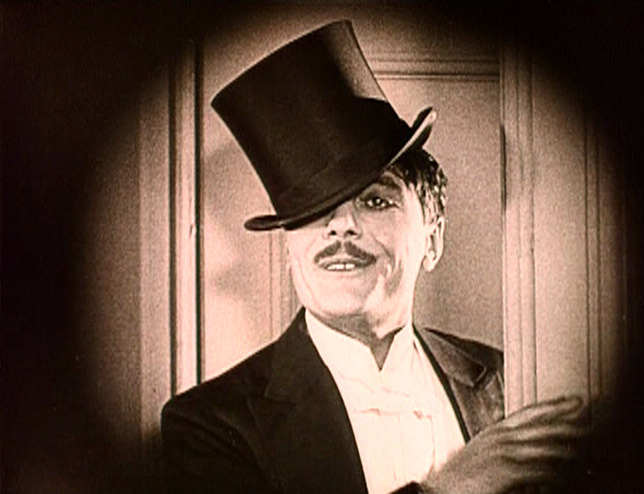 They were the first to conceive of film as a form of group entertainment. 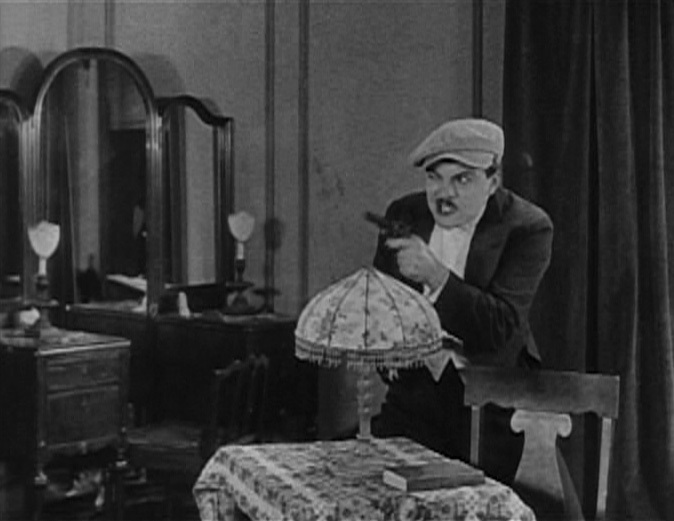 However, with the proliferation of online video, the dominance of small screens, and the increasing commonness of media enjoyed in isolation, I can’t help but notice that film actually seems to be shifting away from the shared experience of the Lumière model and back towards the individual experience of Edison’s Kinetoscope. That is an observation, not a judgment. We’ll all have to stay tuned to see how this turns out. 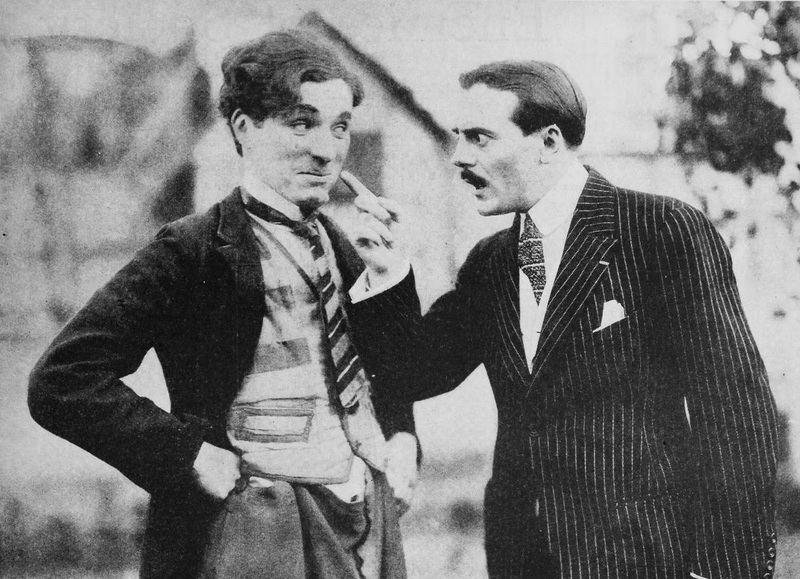 The first edit within a movie was a cut in more ways that one! To recreate a bloody historical event, “The Execution of Mary Queen of Scots,” Alfred Clark at Edison Studios used a hidden cut. We see Mary kneel to put her neck on the block, the axe swings upward, and, then, in the blink of an eye, Mary gets swapped out for a pre-chopped mannequin. Off with her head! Not only does this film remind us that editing itself can constitute one of the most powerful special effects, but it also reveals how editing and violence have always gone hand-in-hand. It’s hard to imagine some of the most masterful, yet violent sequences in film history—the Odessa Stairs massacre from Battleship Potemkin, the shower scene from Psycho, the Ride of the Valkyries sequence from Apocalypse Now—without torrents of rhythmic cuts. And it all started here, even if you’re not supposed to notice that cut. Audiences were appropriately horrified and the relationship between film and extreme violence was born. 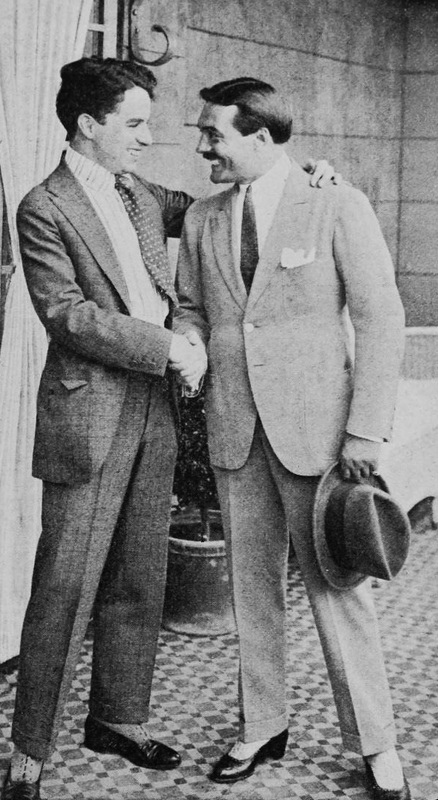 Long before Al Jolson exulted, “You ain’t heard nothing yet!” in the so-called first talking film, The Jazz Singer (1927), movies had actually been making noise for quite some time. 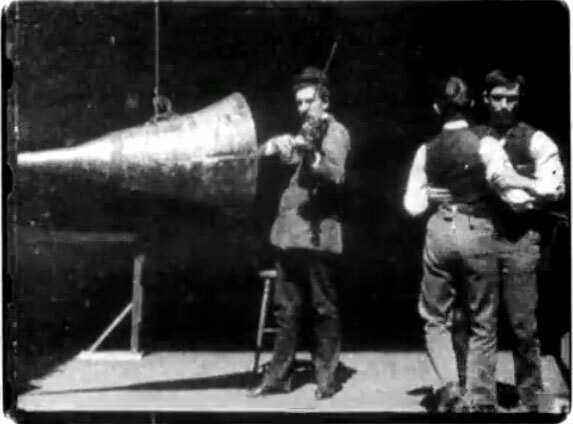 In late 1894 or 1895, William Dickson of Edison Studios actually timed a film recording with synchronous sound captured by a wax cylinder. 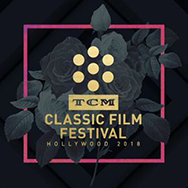 Long considered lost, the cylinder was found and recently restored so we can hear Dickson himself playing the first piece of synched movie sound, a bit of violin music. Incidentally, we might giggle at the sight of two men dancing in a 19th century film, but homosocial dancing was not a particularly unusual thing for that era. Men in the army, on boats, and in isolated locations like prairies often danced with each other in a way that implied camaraderie and friendship, since dancing was one of the most popular ways to pass time. I know this sounds strange, but I find this film the most poignant of all of the ones I’m featuring. I nearly started crying the first time I heard the clear vibration of a violin that ceased to play over a century ago. 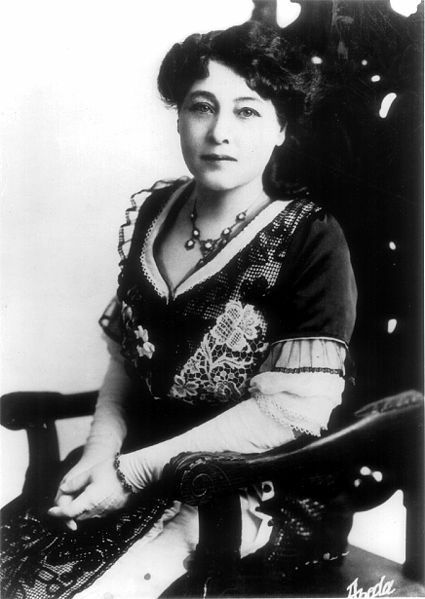 I hate to trivialize Alice Guy-Blaché by referring to her as a “female director,” as though her only claim to fame was doing something that men mostly do. In fact, she possessed an extraordinary imagination on a par with Méliès, a deliciously cheeky sense of humor, and sensitivity to the emotional nuances of narrative that foreshadowed Griffith’s masterpieces. She worked with cutting edge technologies like superimposition and synchronous sound at the turn of the century. She oversaw production at early film giant Gaumont and, after she moved to America, she bought and ran her own studio, Solax. Unfortunately, her first film, “The Cabbage Fairy,” a version of a myth about where babies come from might not exactly stoke one’s enthusiasm for her oeuvre. It features a scantily clad lady (Guy herself!) plucking naked live babies out of exaggerated cabbage patches. Nevertheless, the whimsical set design, the fantasy quality, and the sheer surreal weirdness of visually representing a legend all speak for this film’s historical value. But Alice would go on to make much better! I encourage you watch other films by Mme Guy-Blaché. I recommend “Madame’s Cravings,” about a pregnant woman gone wild, “The Consequences of Feminism,” with its wry gender inversions, and “Falling Leaves,” a heartwarming family movie. 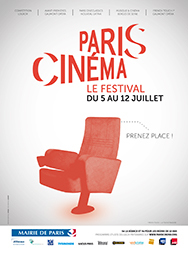 Plus, click here for a fascinating behind the scenes peek of Mme Guy arranging a film. 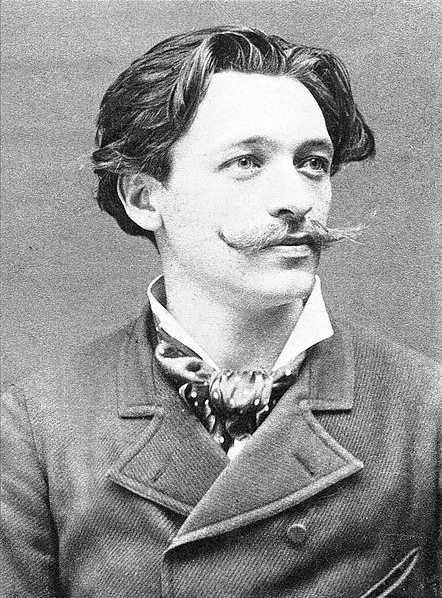 Thanks to Scorsese’s Hugo, a much wider audience has come to appreciate Georges Méliès and his contributions to cinema. 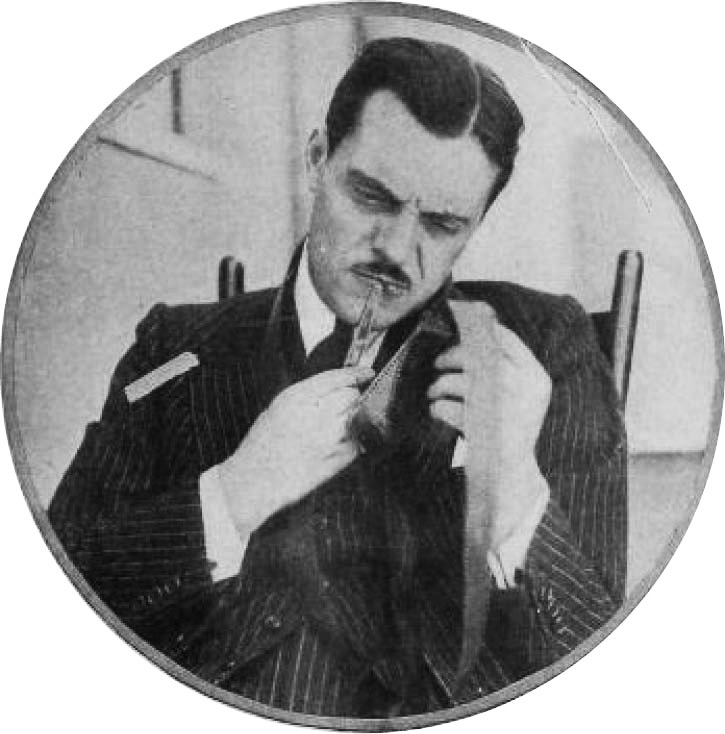 Set designer, magician, inventor, actor, and much more, this multi-hyphenate also gave the world the first horror film. 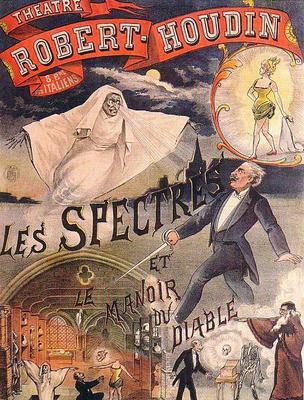 The plot sounds frighteningly similar to 90% of the scary movies coming to a theater near you: two travellers happen to wander into a haunted castle and fend off attacks from shape shifting ghosts led by the Devil himself. Savor the zany camera tricks as bats turn into humanoid demons and beautiful damsels transform into ugly old hags. 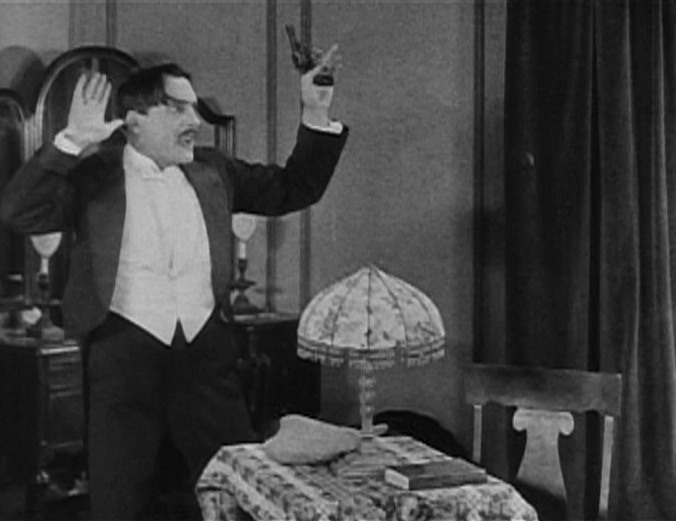 Intertitles—those text screens that pop up between images in silent films—get a raw deal. 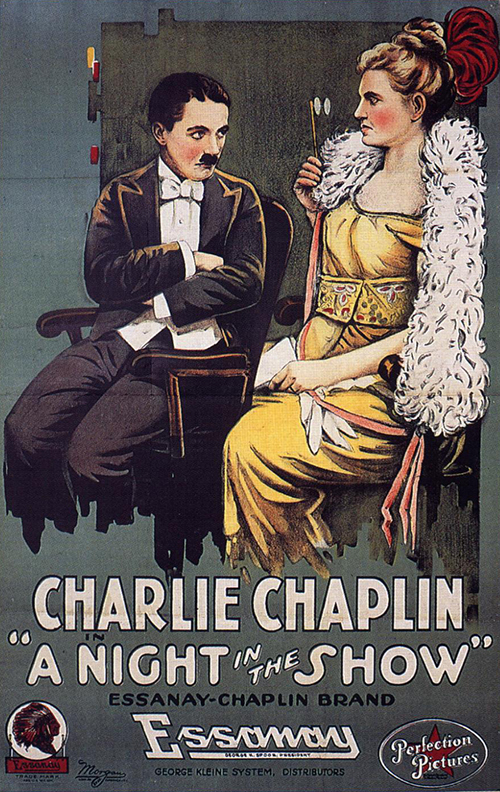 Long bewailed as an explanatory enemy to true art, they clarified plot points and added dialogue to silent film and often revealed just how artistically text can be integrated with images. In Cecil Hepworth’s “How It Feels to Be Run Over,” a carriage rushes by the camera, then a car rushes right into it as though we, the viewer were being run over. 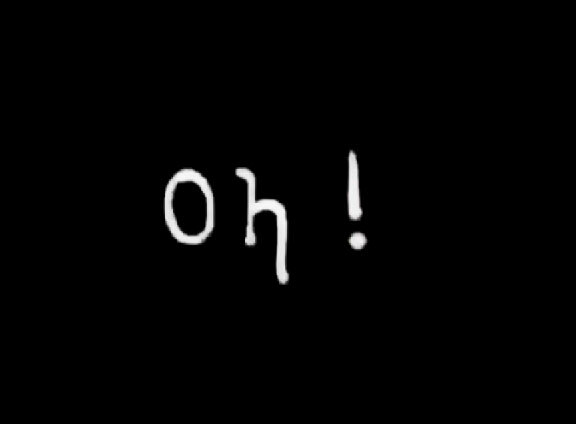 The closing intertitle combusts with exclamation points and an ironic “Oh! 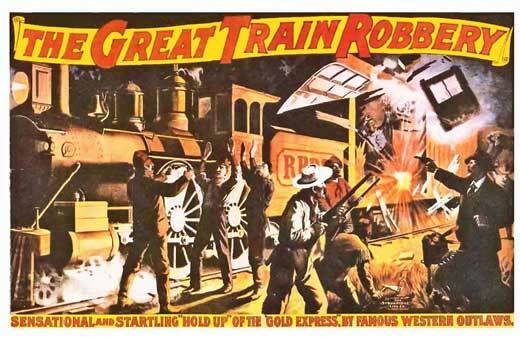 Will be pleased!” The dynamic multiple title cards convey the shock and energy of the collision. Not bad for 1900. 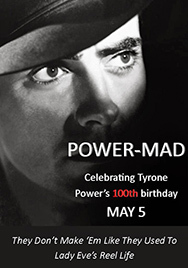 The BFI has done a nice write-up on this significance of this film. 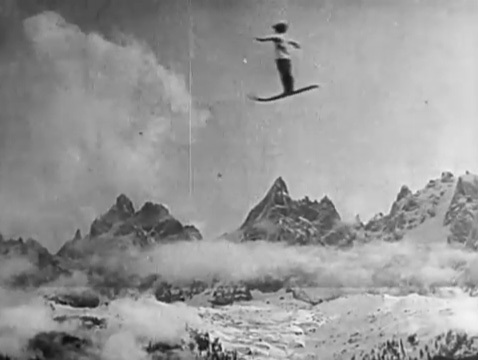 George Albert Smith, a British filmmaker, produced some very interesting, playful films that display a forward-thinking grasp of how the camera itself can be incorporated into films—not just used as a passive recording instrument. In “Grandma’s Reading Glass,” a little boy uses a magnifying glass to examine the world around him—newsprint, a canary, a house cat, and even his Grandmother! Her huge eye filling the screen must’ve come as a shock to viewers accustomed to pretty long shots. What’s more impressive is that the film puts us, the viewers, in the place of the little boy, demonstrating cinema’s magical capacity to encourage identification with characters and their experiences. 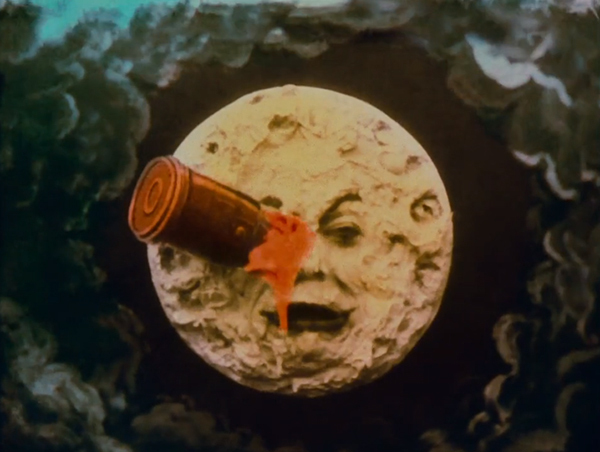 So, unlike the stenciled hand-coloring process that made Méliès’ films, Turner’s method was much more closely related to the multi-strip Technicolor that would revolutionize film in the late 1920s and 1930s. 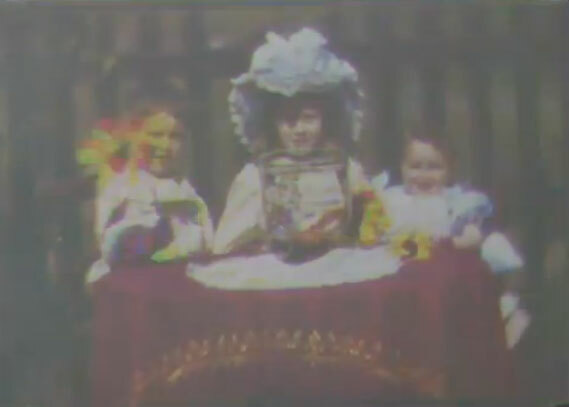 The film shows Turner’s children playing with flowers and a goldfish bowl. If you look closely, you can see the yellow goldfish gliding around. I would have preferred to feature an earlier Edwin Porter film, “Life of an American Fireman,” but the influential cross-cut version has not, to my knowledge, been uploaded to YouTube. So, I’ll fall back on this no less extraordinary film which bequeathed one of the most enduring genres, the Western, and a stronger sense of filmic narrative than probably any previous film.